Made to measure window shutters can instantly transform the aesthetic of your living room, making it feel more intimate and inviting. Shutter have the power to brighten up the space, instantly making the area look bigger. A timeless addition to any room, the shutters are sure to become a treasured addition to your home and a focal point of modern sophistication. Interior shutters evolve with our design preferences, making them perfect for any contemporary home. Ideal for irregularly shaped windows, our custom shutters come in a variety of styles and sizes that will match all of your design preferences. Able to keep you cool in summer and warm during the colder months, Omega15 blinds provide 70% more efficient insulation than other timber shutters. More than just aesthetically-pleasing, our blinds make your life easier. Cleaning time is halved as the shutters only require occasional dusting to look pristine. Invest in our blinds and allergy-proof your windows, as the hypoallergenic design repels the formation of dust that might antagonise your symptoms. Safety is our priority, which is why our Omega shutters are fire retardant; with our Omega shutter range, you can have peace of mind. 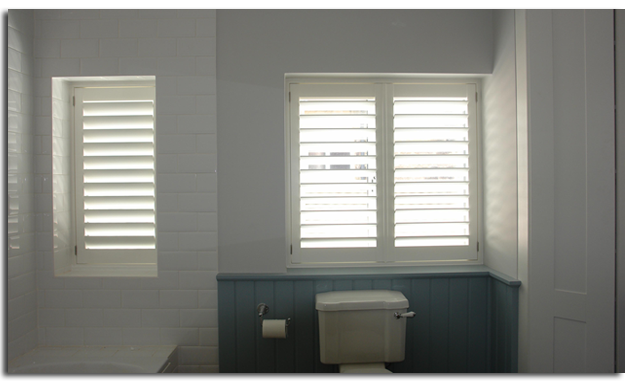 Our shutters are meant for life, which is why we make them incredibly durable. The aluminium reinforced shutter blades won't crack, chip or warp so the blinds look as pristine as the day they were installed. Impervious to water damage, our Omega shutters are waterproof and their appearance won't be affected by moisture or humidity. The paint finish offers an impenetrable layer of protection so that the exterior won't get discoloured by sunlight or dirt. 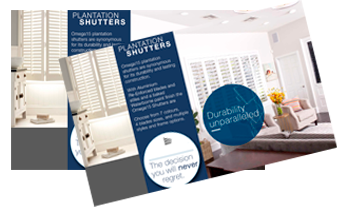 We're confident that you'll love our plantation shutters; that's why we offer an exclusive 15-year warranty for anyone who invests in our superior product. Contact a member of our team for a free quote and consultation.